Crane manufacturer Hiab has launched the X-HiPro 558, a truck-mounted crane that it says is the strongest to be mounted on a three-axle truck. The X-HiPro 558 is designed for lifting heavy and bulky loads directly from truck beds and has a lifting capacity of 487kNm. Despite the high lift capacity, the crane’s boom system is made from extended pieces of lightweight ultra-high tensile steel, keeping overall weight down. Hiab says the result is a crane with both longer reach and greater lift capacity than similar models. "Hiab X-HiPro 558 provides 20 percent more lifting power than other cranes of equivalent size," Hiab director of heavy cranes Marcel Boxem says. 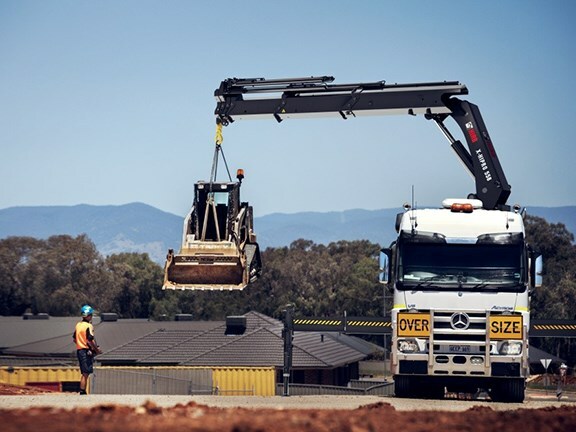 "With our optimised EP boom system which has longer and lighter individual extensions, the new crane offers optimised outreach, with more net capacity for lifting bulky loads," Boxem says. The crane is controlled via the HiPro remote control system and can be operated by lever or joystick. The HiPro system can also automate speed control and oil distribution. Hiab says oil is distributed in proportion to the operators control movements and prevents sudden and unanticipated load accelerations. 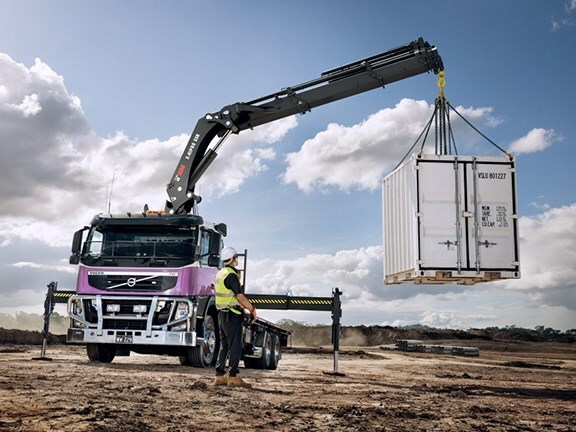 The X-HiPro also features the Variable Stability Logic Plus system, a safety system that that maximises crane capacity by calculating the crane’s stability according to the position of the stabiliser legs and the total weight of the truck. "Safety is always the first priority," Hiab senior vice president Joakim Andersson says. 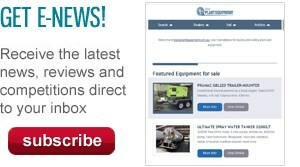 "In big cranes we have taken safety into consideration by offering features like VSL Plus which uses the position of the stabiliser legs and the total weight of the truck to calculate maximum safe crane capacity, and Boom Deployment Assistant (BDA) which monitors the angle and position of the boom during folding and unfolding."